On August, 24 2016, at 3:36am, a magnitude 6 earthquake hit Central Italy near the town of Accumoli. 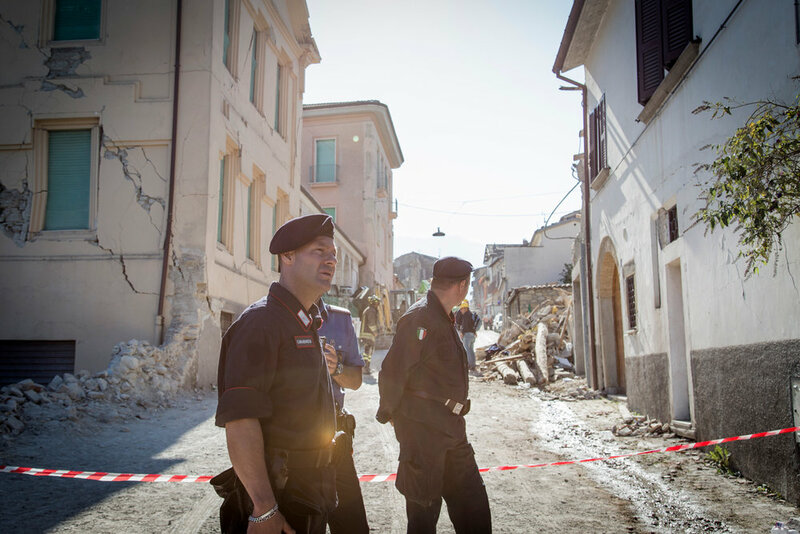 It was shortly followed by an intense series of aftershocks, which left many historical centres destroyed and that caused the death of almost 300 people, 234 of whom in the town of Amatrice alone, which was entirely destroyed. This series of photographs has been shot on assignment for the Danish newspaper Politiken in Amatrice in the days following the first massive earthquake.